Paypal has announced that over one million people have used Paypal on their mobile phones to send money or make a payment since the company launched mobile payments in 2005. The company was one of the first to launch a mobile payments app on the iPhone in 2008 and offers apps on three major platforms; iOS, Android and BlackBerry devices. Both Android and the iPhone apps allow users to make use of the “bump” feature, sending and receiving payments by motioning handsets together. 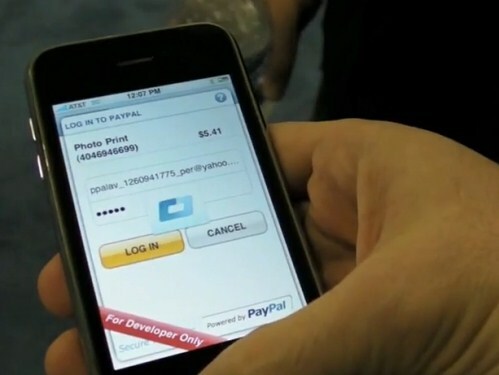 Paypal predicts that by the end of 2010, it would have facilitated 30 times the amount of mobile payments than in 2008, transactions totalling over $700m. In July and August alone, month on month transactions rose 20%, helped by the fact that on average, a Paypal UK customer will make five transactions a month. Paypal functionality is built into eBay’s mobile application and there are reports Paypal will soon be available as a payment option on the Android Market, the service is only set to boom in the coming months. Read next: The Chilean government gives entrepreneurs cash to move to Chile & run a start-up.